Massage is the perfect non-medicinal way to boost your mood. We all lead high stressed lives. Some stress is positive (eustress) and some stress is negative (distress). When a person experiences high levels of “distress” it can manifest as feelings of anxiousness, depression, and irritability. All of these feelings can be overwhelming and can result in trouble relaxing. Whatever effect stress has on your mood, a massage is one of the most relaxing and enjoyable ways to let your daily stress simply disappear. Everyone experiences some stress in their lives whether its work related or personal. Stress can affect every part of the body, from the mind, all the way down to the muscles and joints of the toes. Stress can cause a range of issues from headaches to stomach problems and can even disrupt sleep. Stress has also been linked to overeating, drug/alcohol abuse, tobacco use, and social withdrawal. So how can massage help with stress? Studies have shown that massage therapy increases serotonin in the body and activates the parasympathetic nervous system. * Serotonin is an important chemical and neurotransmitter in the human body that helps regulate mood and social behaviour, appetite and digestion, sleep and memory. The parasympathetic nervous system helps aid in the bodies relaxation. Having a chronic injury or illness can also cause undue stress. Research has shown that massage therapy can also help patients manage pain associated with chronic injuries and illness. Even hard to manage conditions like fibromyalgia can benefit from regular massage. Massage therapy can also lead to a healthier heart. Massage can lower blood pressure and decrease heart rate. This helps reduce strain on the heart and helps to maintain a healthier circulatory system. 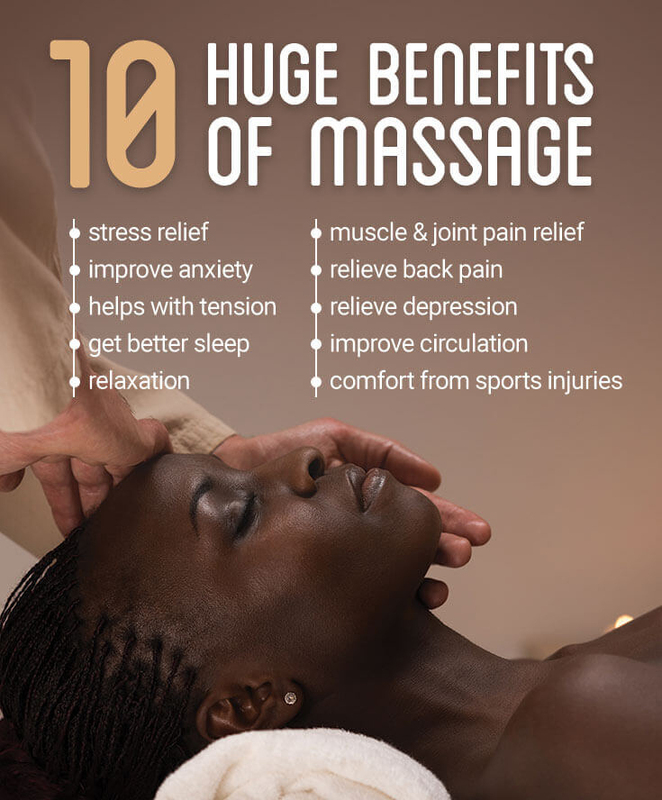 When massage therapy is combined with a traditional treatment program from a physician, it can do wonders.